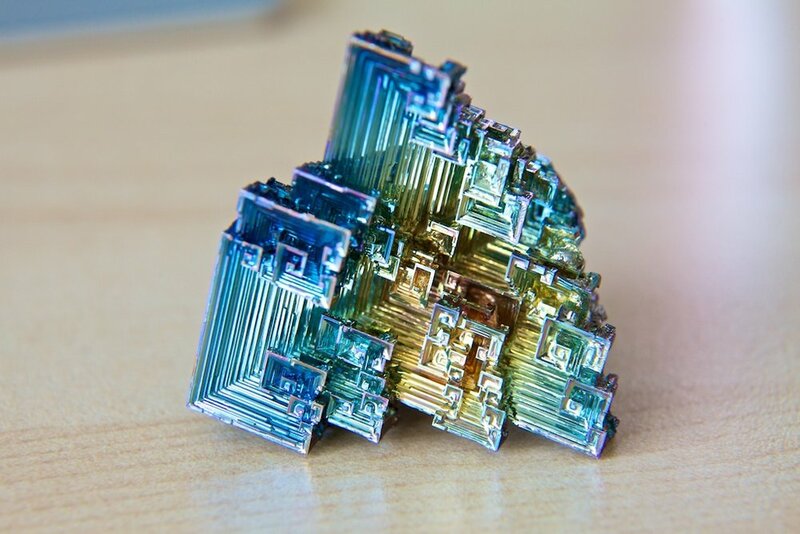 A few days ago a purchased a bismuth crystal off of eBay for pretty cheap. 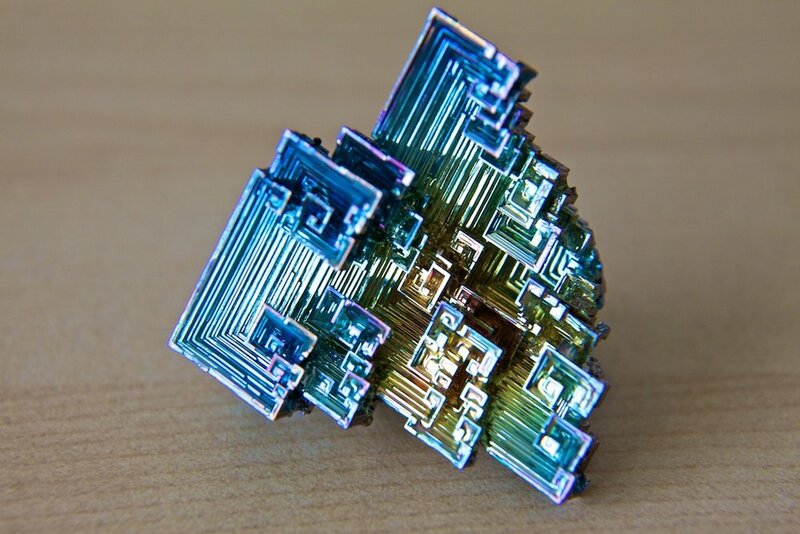 Bismuth is a grey metal with a few interesting properties. In addition to being the active ingredient in Pepto Bismol, when it is cooled slowly, it forms square spirals in a stair-stepped shape. During this process, it forms an oxide layer that causes interference with reflected light giving it an a rainbow effect on the surface. As far as buying your own crystals, the red and yellow hues are less common and generally command a higher price. For comparison, the crustal shown below is about 2" long and cost ~$15. I did not purchase from BismuthCrystal.com but they do have some of the nicest ones that I've seen for sale. Click on the read more link for photos.